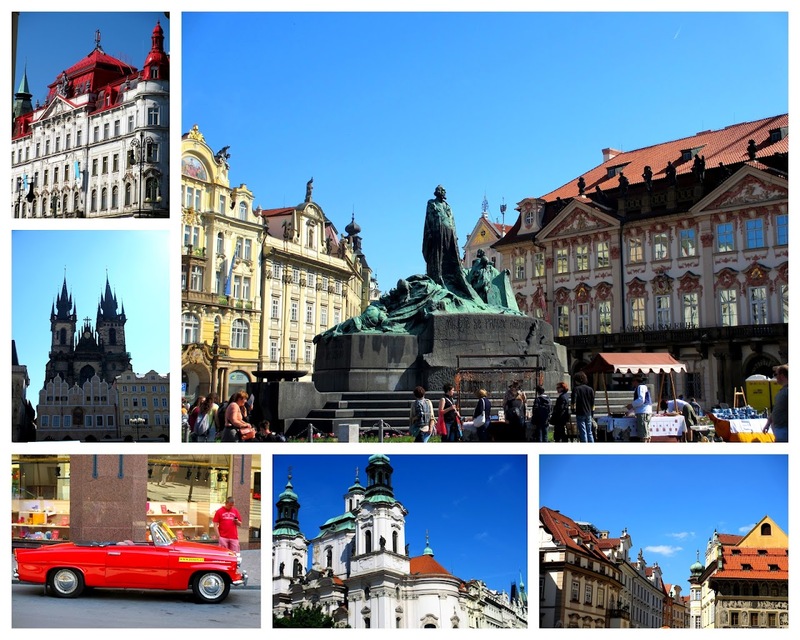 McLendon McBlog: Czech it Out! 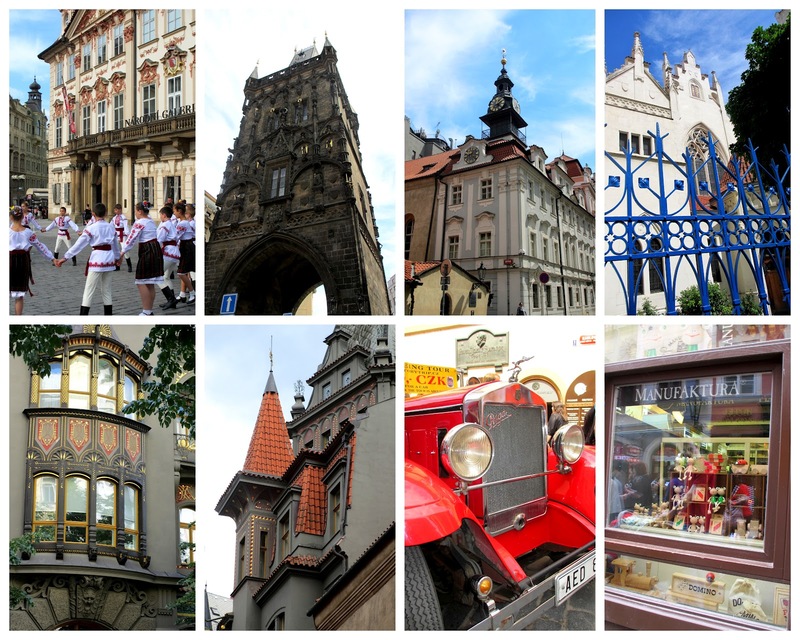 Here's a few pics from around Old Town Square. One day I'm going to insist we rent one of those zippy little red roadsters. I just need to figure out where to fasten the two behemoth car seats. 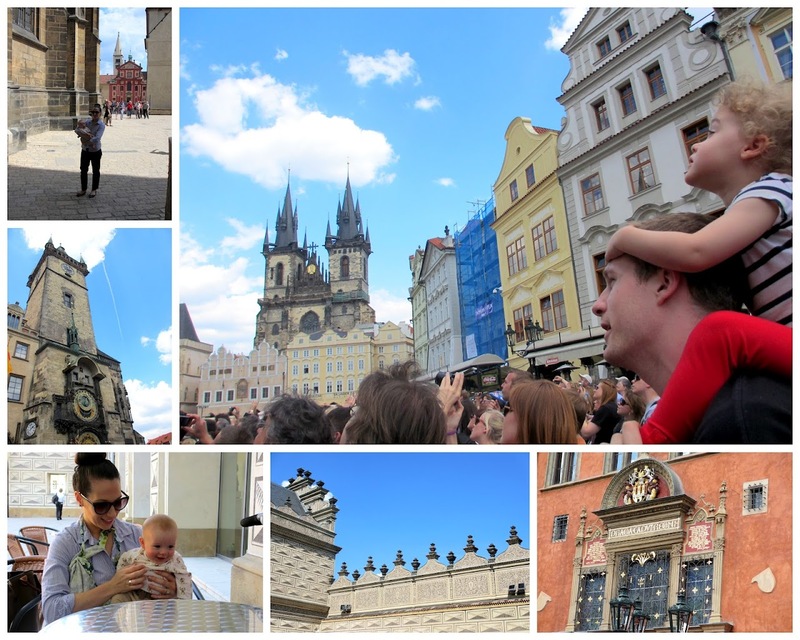 Bop's favorite thing was watching the Astronomical Clock Tower show. Every hour on the hour, the little doors at the top of this clock swing open and little figurines of the twelve apostles come out for a show, all while a skeleton rings the bell. The clock keeps Bohemian time, modern time and celestial positions (which I think means where the sun and moon are positioned). Bop was pleased to get another nesting doll. She named this one "Little Claudia." The one she got from her last Prague adventure disappeared one piece at a time until there was none. 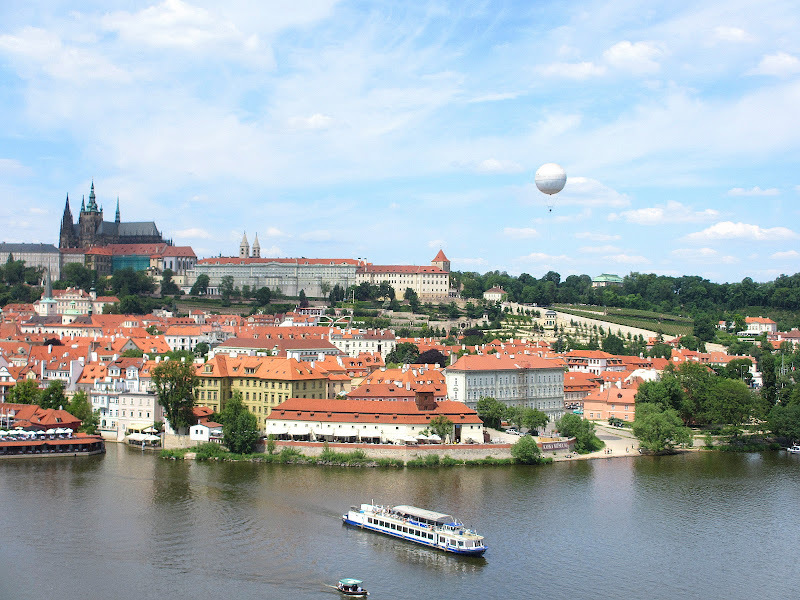 The Charles Bridge is my favorite Prague attraction. 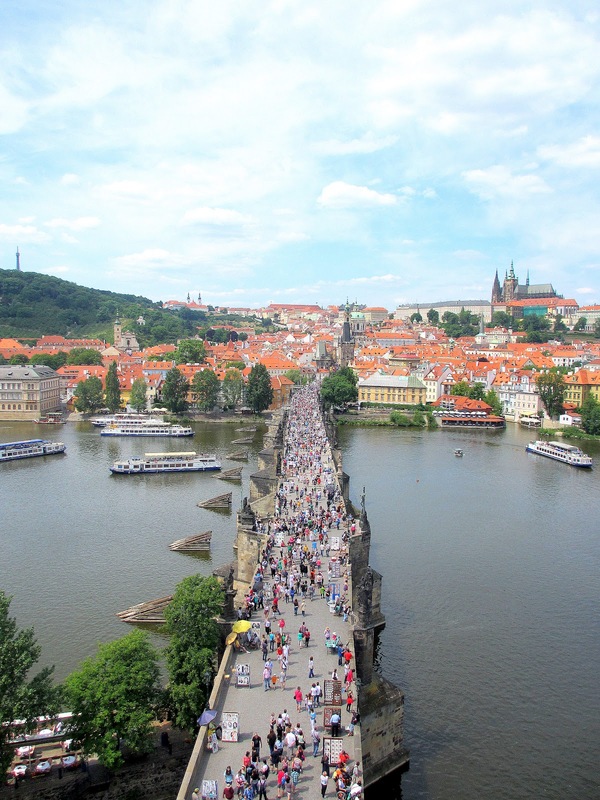 It's a beautiful pedestrian only bridge over the Vltava River. Claudia enjoyed the organ grinder and his dancing monkey. It's a big hit with most of the kids toddling along the bridge. 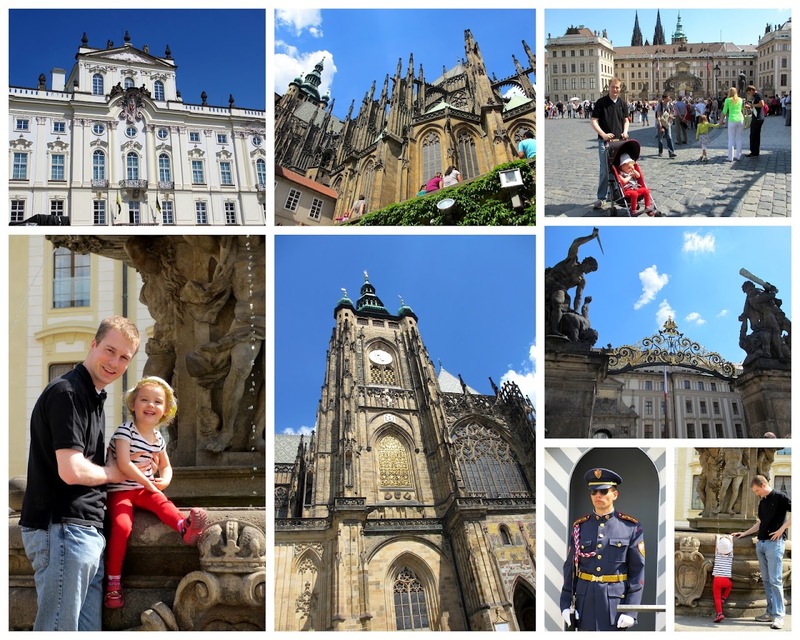 We saw everything from children dancing in authentic Czech outfits in the Old Town Square, fancy old roasters zipping around town, my favorite Czech shop, Manufaktura (a wonderful Czech shop that sells amazing soap and bath products and also wooden children's toys), the beautiful temples in the Jewish Quarter and all the beautiful, ornate architecture all over town. The Castle District was hot and crowded. It took all we had to keep Claudia from jumping in the fountain. Paddy definitely enjoyed his first trip... even if he did spend most of it asleep in his stroller. And look who we found! 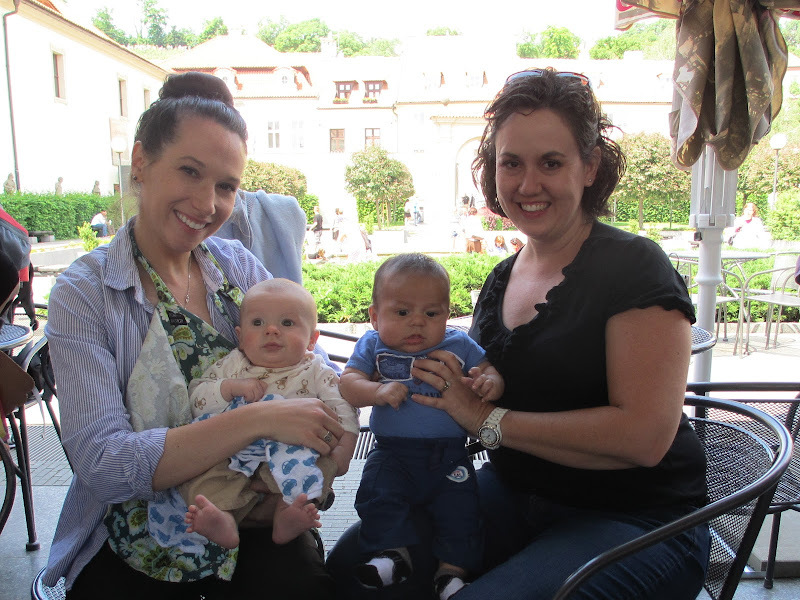 Patrick and Logan are just two little Texans, travelling the world at 3 months old. Sweet baby boys! 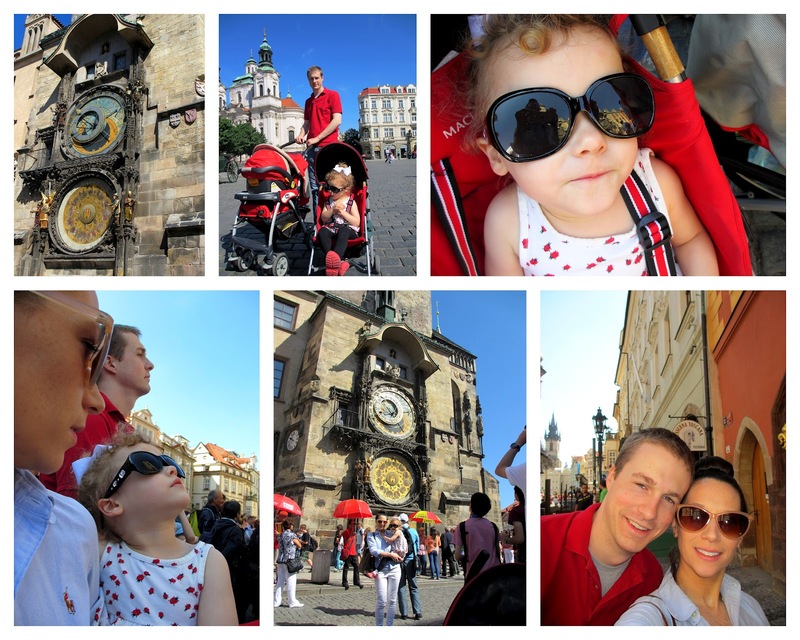 My sweet Paddy in front of the Astronomical Clock. He won't remember a single second of this trip later in his life, but maybe he'll get a kick out of this picture someday. Scowl! I love waiting for that clock to go off. Hundreds of people are all huddled together, waiting with bated breath, no one moving an inch, cameras poised. I think I took more pictures of the waiting crowd than of the clock. I had to share. Russell and his Grandma have such a funny relationship. Russell talks all kinds of nonsense to her and she just gasps and responds "Oh, Russell, that is awful" to whatever crazy story he has told her. This is not the first "I lost my passport/wallet" postcard she's received and I suspect it won't be the last. Now, time to do some laundry!! Haha! I loved the whole post! Girl, you look presh with your bun and cool sunglasses :) I love yall's adventures! You guys are so cute! Love the pic of you and Carey and your babes. That postcard is hilarious. what program do you use to create those photo collages? they look great! 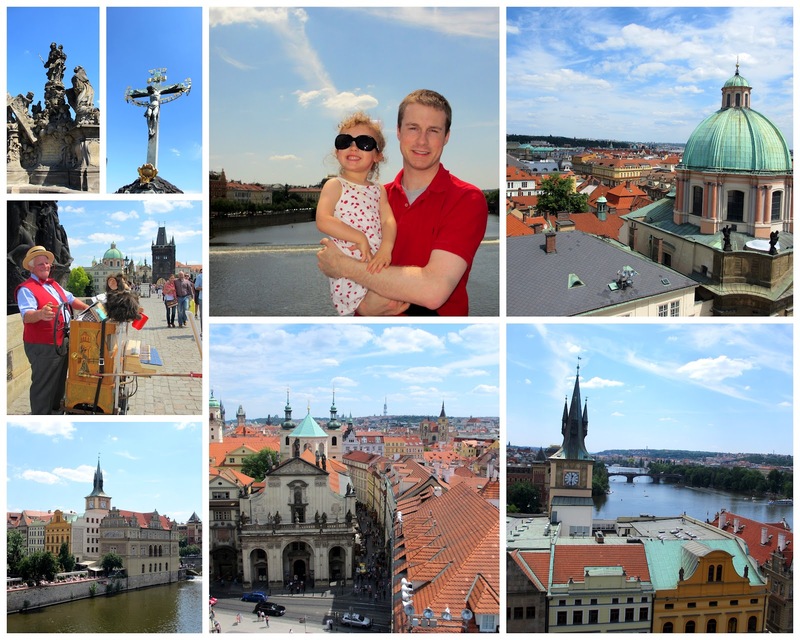 Fun trip and a great blog post. Enjoyable read! Definitely makes me want to visit! I love this post. Paddy definitely won't remember any of the trip, but at least you have lots of pictures to show him later! These pictures are amazing! I think Yitin told me this before, but what are y'all doing over in Budapest? !